They were prompt to come out to our home. We are still waiting for an estimate on a job . It has been over a week. Efficient, friendly service at reasonable prices. 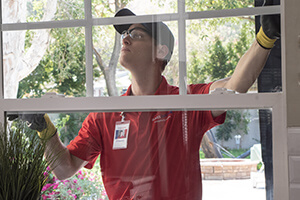 The gentleman that came to our home was pleasant and very efficient in fixing our windows. It was a good experience. The salesman was courteous. Most hassles. Very pleasant, informed and expert service. A bit pricey.